A3 Standard Illuminated Menu Cases. Whether you are a restaurant, hotel, theatre or conference venue our quality crafted menu display cases project that ultimate image for your establishment. Portrait or landscape displays are lockable and come with internal illumination. Larger or smaller sizes and special sizes are available. All of our menu cases come with a felt covered pin board insert. Please click through to next page to use the drop down menu to choose display case material and pinboard colour. 1. 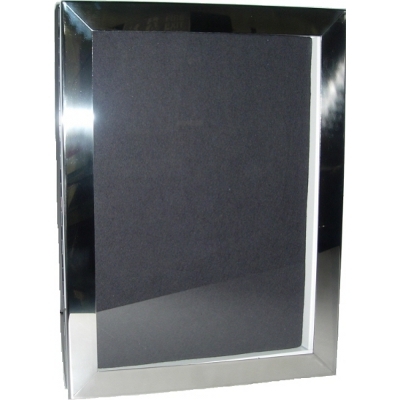 Opal acrylic header panels with name can be supplied. 2. Painted to a BS or RAL colour of your choice. A4 Standard Illuminated Menu Cases. Our quality crafted menu display cases, ideal for hotels, restaurants, conference facilities, theatres; project that ultimate image for your establishment. 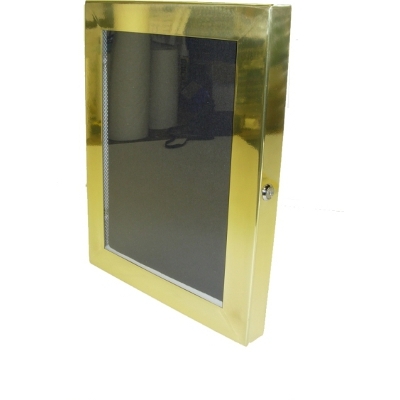 Portrait or landscape displays are lockable and come with internal illumination. Larger sizes and special sizes are available. All of our menu cases come with a felt covered pinboard insert. Please use the drop down menu to select display case material and your pinboard colour. 1. Opal acrylic header panels with name. 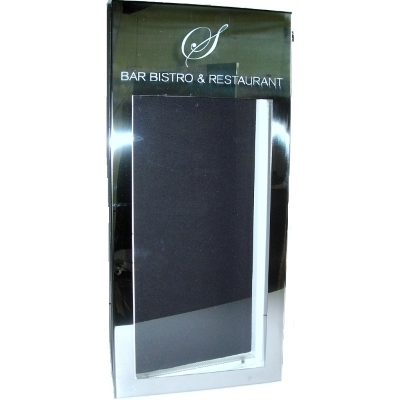 Our quality crafted menu display cases with fret cut top, project that ultimate image for your restaurant, hotel, theatre etc. Portrait or landscape displays are lockable and come with illumination. Larger sizes and specials are available. All of our menu cases come with a felt covered pin board insert. Please use the drop down menu to choose your colour, or contact us if you cannot see the colour you require. Please note that A4/A3 Fret Cut Top Menu Cases are made to order.